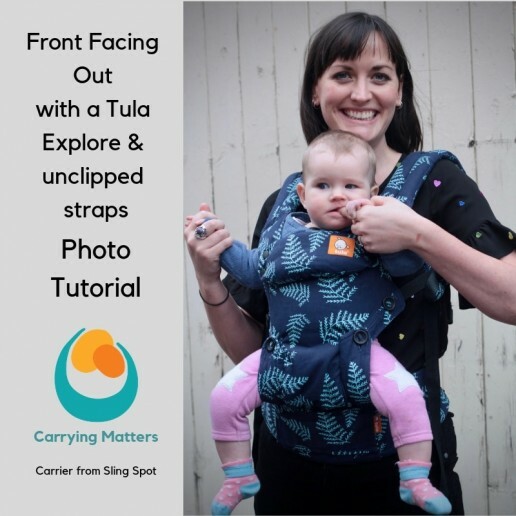 Tula Explore Front Facing Out photo tutorial with ruck straps. 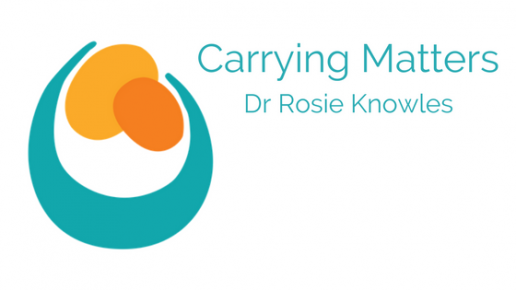 A step by step guide to give you confidence! This method clips the chest belt up behind the neck, after child and carrier are in position. The Tula Explore carrier can be used facing forwards when baby is developmentally ready. 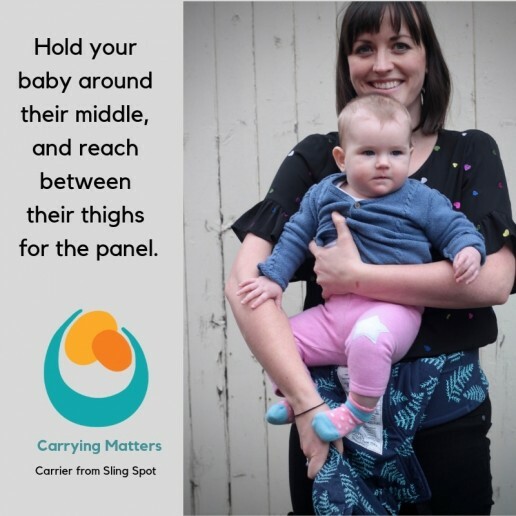 Deciding if you want to use this position and when your baby is ready for it will be a very individual choice. Guidance suggests that baby should have well-established, independent and sustained head, neck and upper body control (for more than twenty minutes). 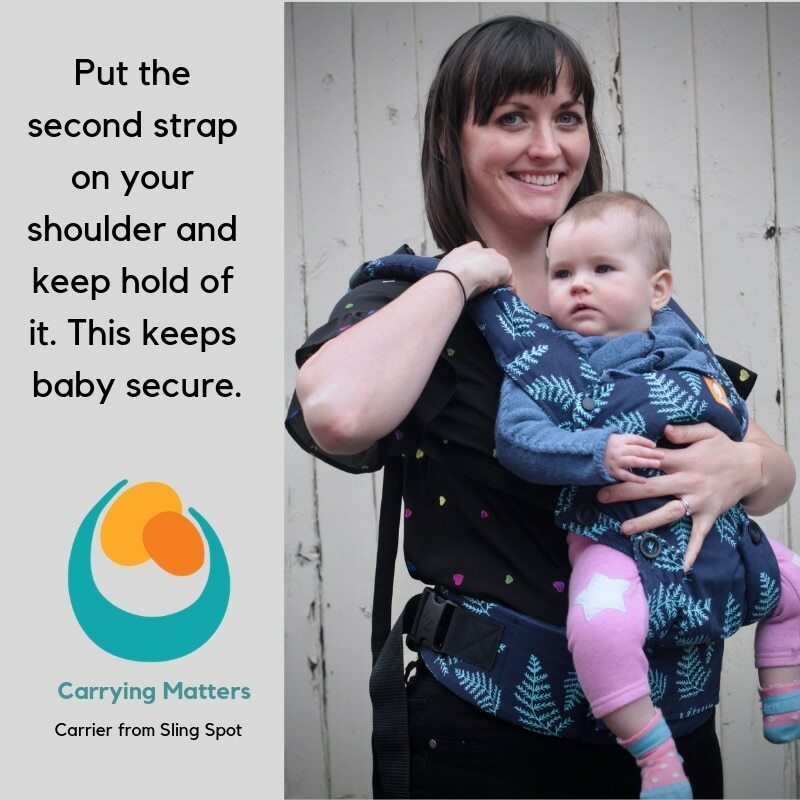 Typically this develops around 4-5 months. Before this, there is a risk that baby may slump and compromise their airway, especially if they fall asleep in this position. 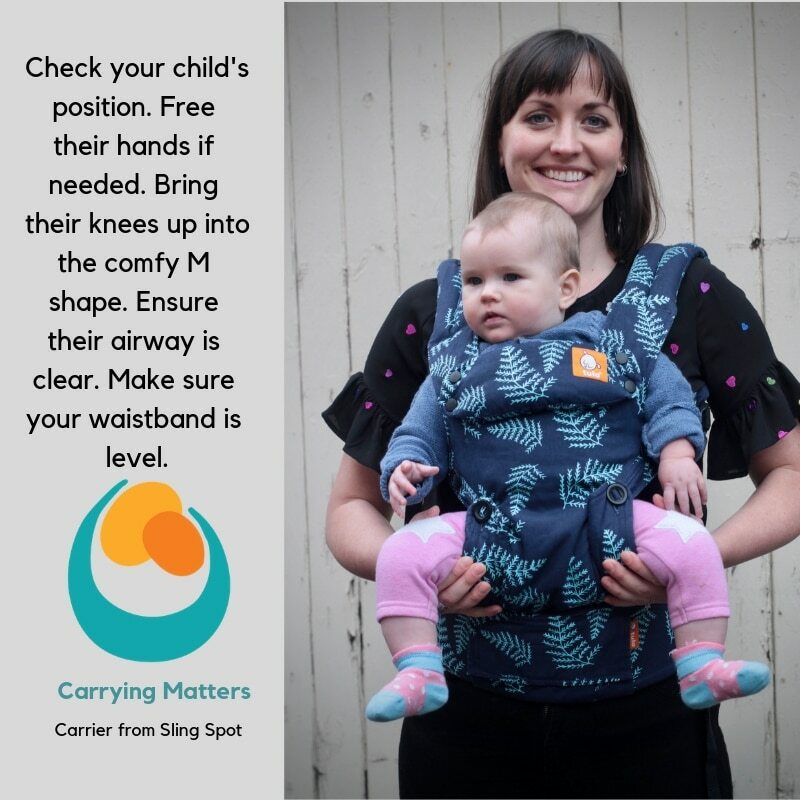 Furthermore, baby needs to be tall enough to fit into the structured panel, and their legs long enough to sit comfortably in the bucket seat. This little model is six months, and just big enough for this carrier. 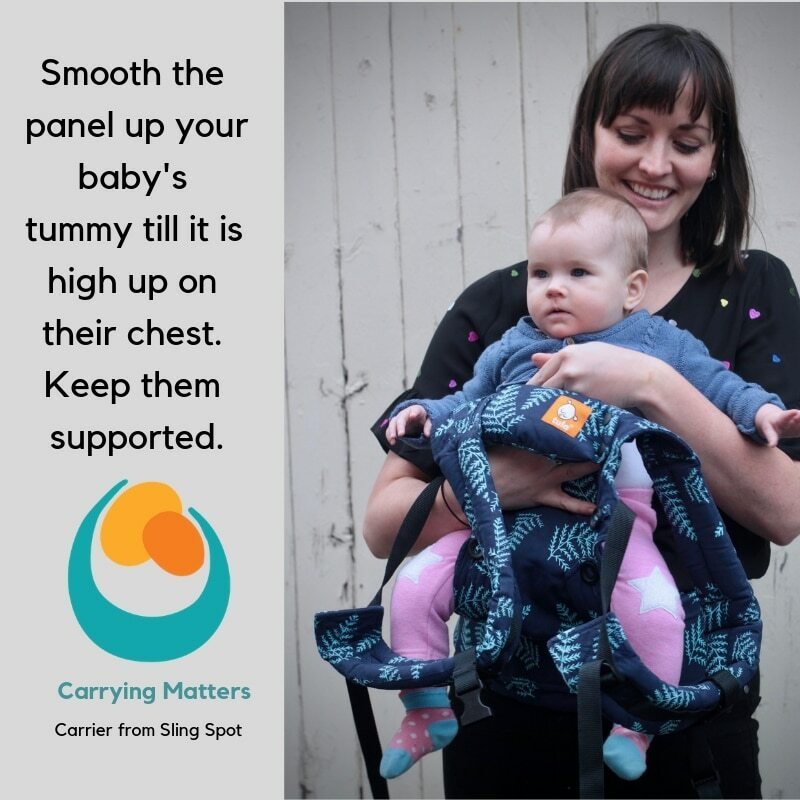 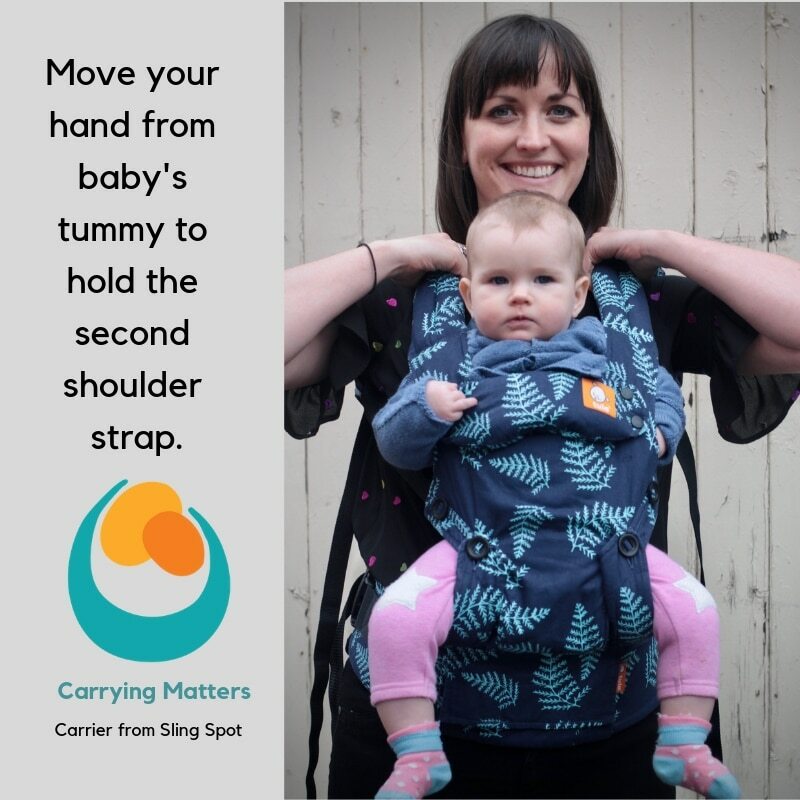 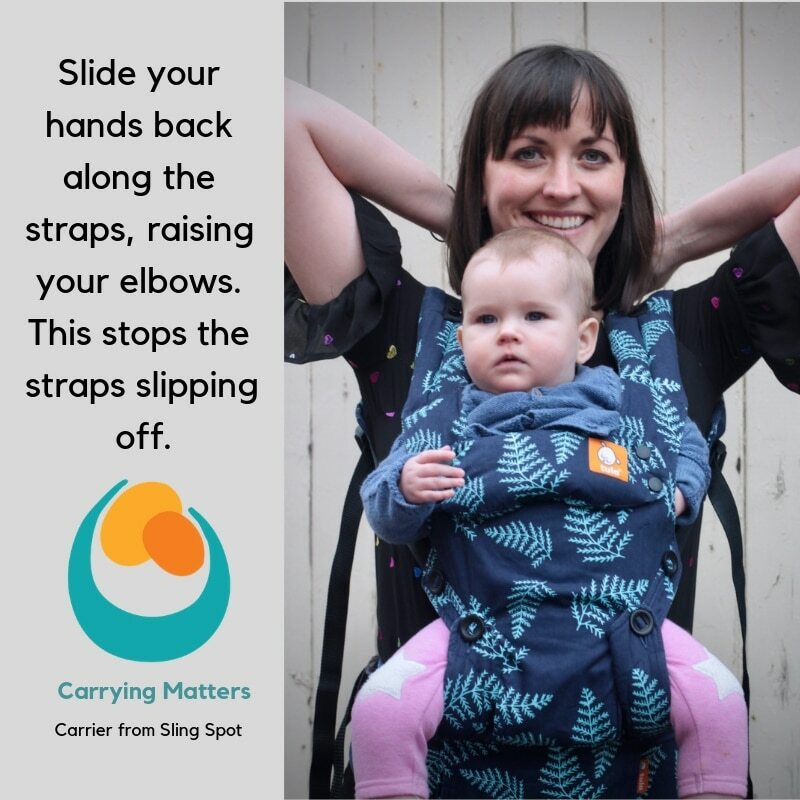 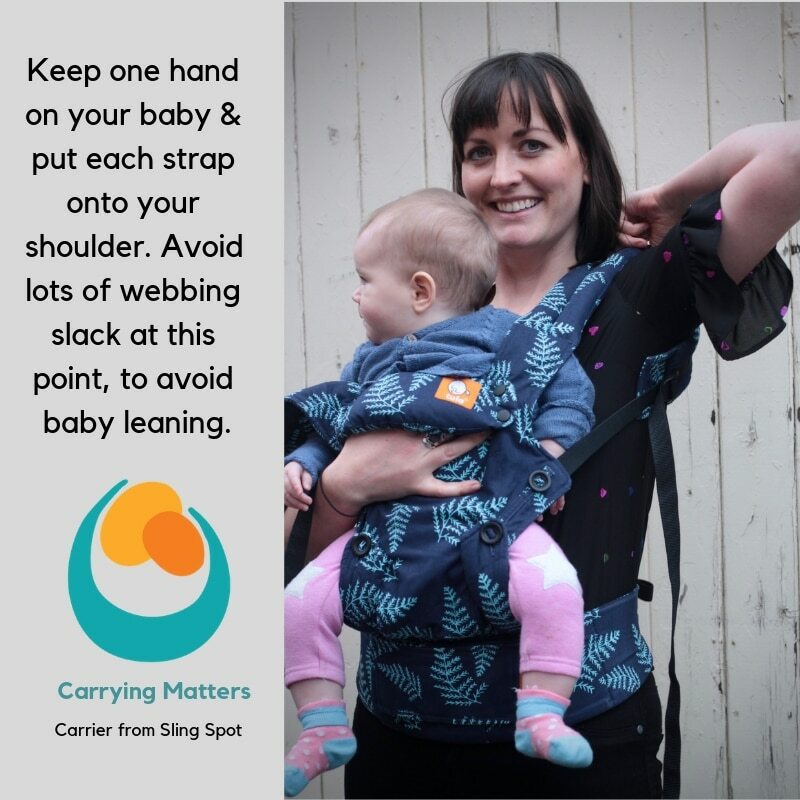 Read more about facing forwards in slings here. Top tip: don’t forget you can move the chest belt up and down on the webbing that runs along the shoulder straps. 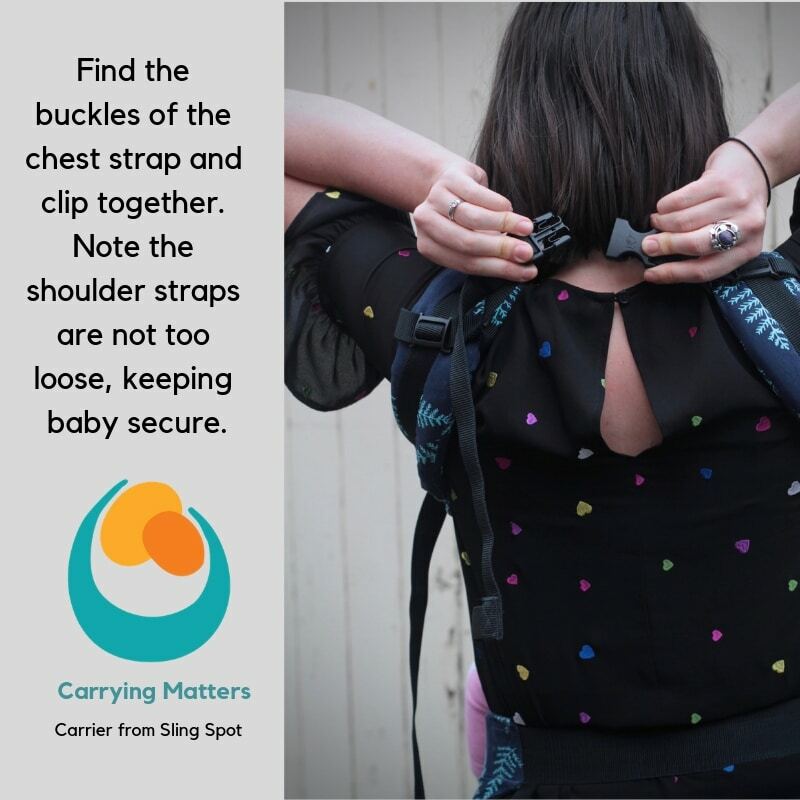 Everyone will have a particular preference for the chest belt location. 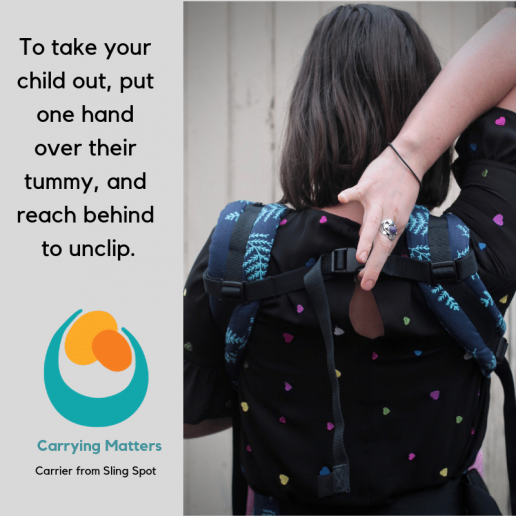 As you tighten the shoulder straps, the chest belt will move down your back. 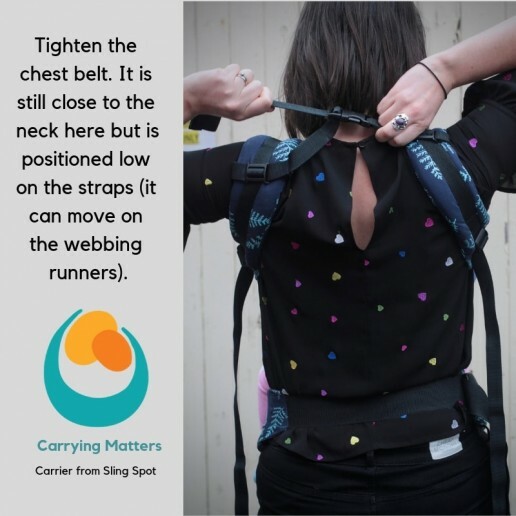 If it still feels too high behind your neck once the shoulder straps are tightened, move it down the webbing for the next time. Check you can still reach it to undo it when ready. 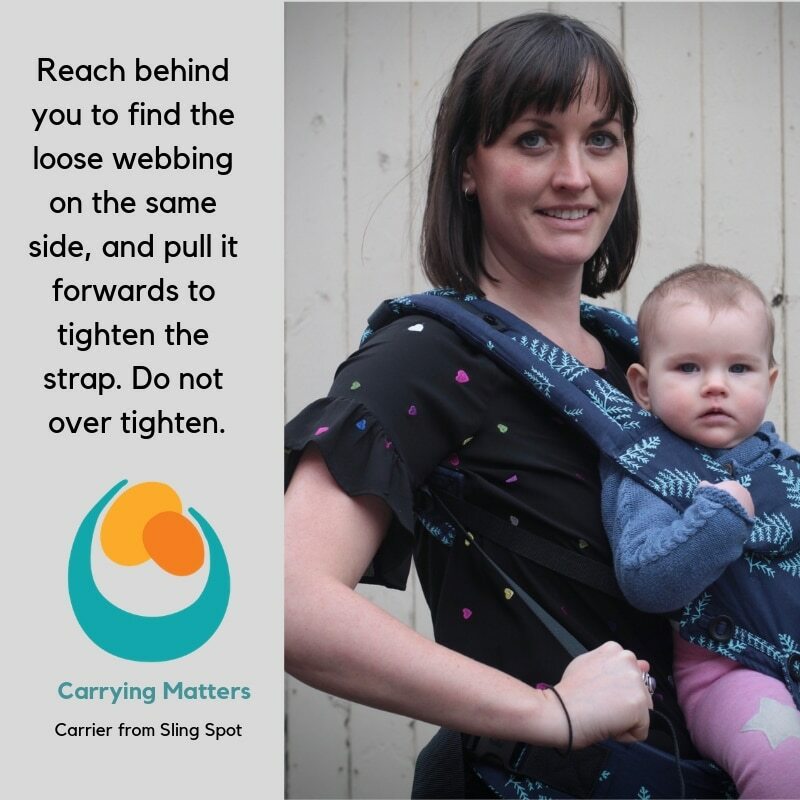 If it is too low, move it up the webbing for the next time. 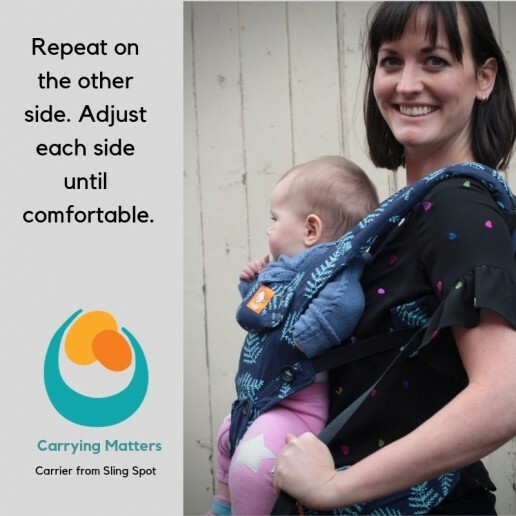 A few practices and you’ll soon find the right combination for your comfort and convenience. 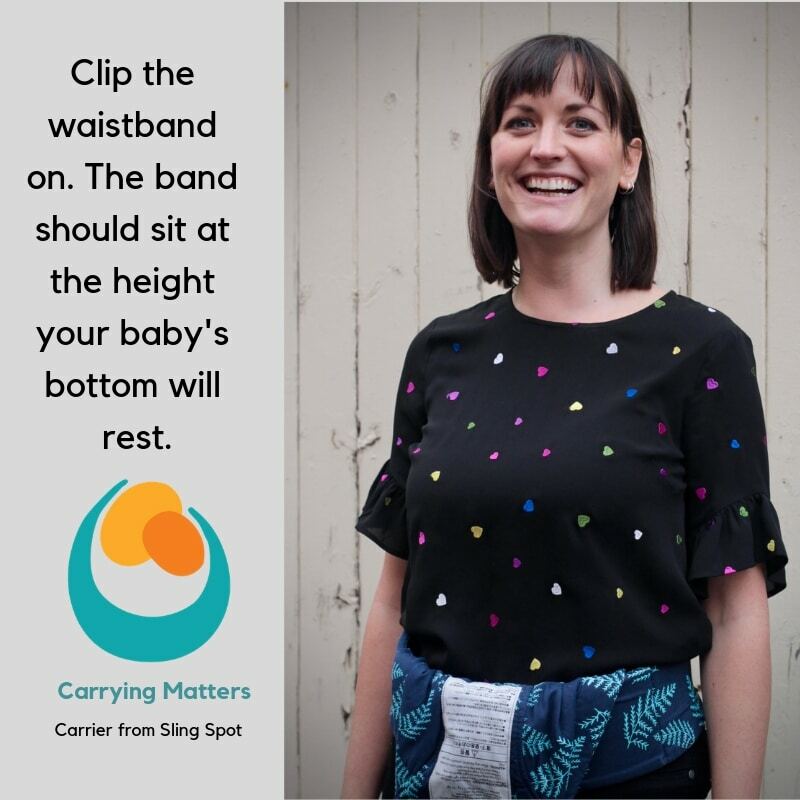 You can see the preclipped method here.